Swedish melodic metallers AMARANTHE have released the song “Inferno”. The track is taken from the band’s upcoming fifth album “Helix”, due out October 19 through Spinefarm Records. The disc was recorded at Hansen Studios in Ribe, Denmark with producer Jacob Hansen (VOLBEAT, EPICA, DELAIN). The follow-up to 2016’s “Maximalism” marks the band’s first release with DYNAZTY‘s Nils Molin, who officially joined AMARANTHE in July 2017 as the replacement for Jake E.
Four albums into its career, AMARANTHE has racked up north of 118 million YouTube views and half a billion song streams, has landed at No. 1 on the Billboard Heatseekers chart three times, and possesses a panoply of gold and platinum discs for albums and singles alike. 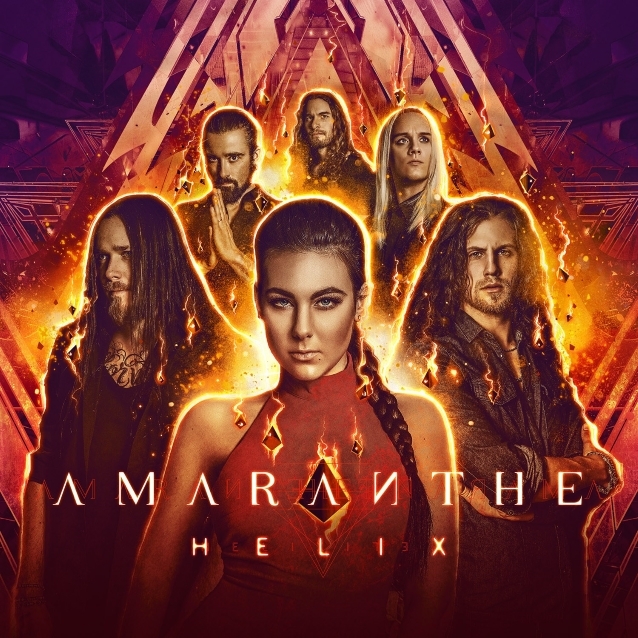 With “Helix”, AMARANTHE takes another leap forward in its sonic evolution.